Diplomatic Security Agent, Sean Sulluvan, faces his worst possible disaster. The French ambassador’s daughters are kidnapped on his watch. Diplomatic Security Service Agent Sean Sullivan, charged with protecting the American Ambassador to France’s teenage daughters, had run out of chances to retire with honor. The girls are kidnapped by human traffickers on his watch. Sully takes us on a ride-along as he chases the kidnappers throughout Paris and Belgium. Dave DeHart does it again. This time with a new hero and a whole new cast of characters. 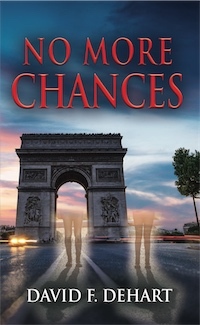 "No More Chances" introduces Sean "Sully" Sullivan of the U.S. Department of State Diplomatic Security Service. Set in contempory Paris, Sully gets drawn into the kind of high profile kidnapping that would keep CNN in "Continuous Live Team Coverage" for a week. With chases through the streets, across the rooftops and even through the tunnels of the Paris Metro, this is a book that's tough to put down. Agent Sullivan must not only rescue the kidnap victims but figure out who is responsible for the crime. And almost everyone is a suspect. - James Little, TV Personality. Fascinating tale of mystery and intrigue in Paris. Sully is the kind of hero everyone loves, a straight shooter with a great sense of humor. Lots of unexpected twists and turns keep you totally engaged. - Patricia Distler, Writer, Actress. Burned-out writer encounters a mystical wolf in remote Alaska. David DeHart is a retired Military Intelligence officer. No More Chances is his seventh novel. 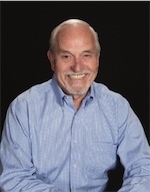 He resides in Oregon with his wife, Wendy DeHart, an accomplished artist.